Greetings, Stampers! I been having fun recently combining challenges, and today's card is no exception. I love having a color scheme and a layout already decided for you. 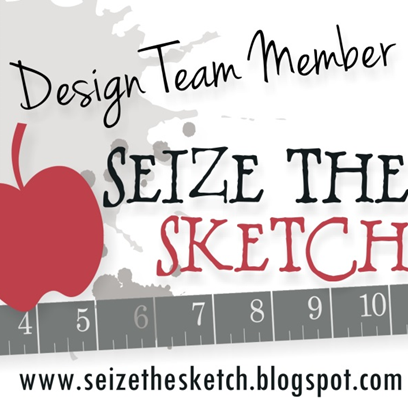 It helps so much with creative decision making process, something I struggle with. I think sometimes I spend equal amounts of time just staring and thinking, as I do actually putting ink to paper! When I saw this color combination on Dynamic Duos, they screamed Shabby Chic to me, so that was the inspiration for my project. The Twitterpated Designer Paper worked perfectly, and I shabbied things up a bit by sponging with Crumb Cake ink. There is a lot going on in the Mojo Monday sketch this week! 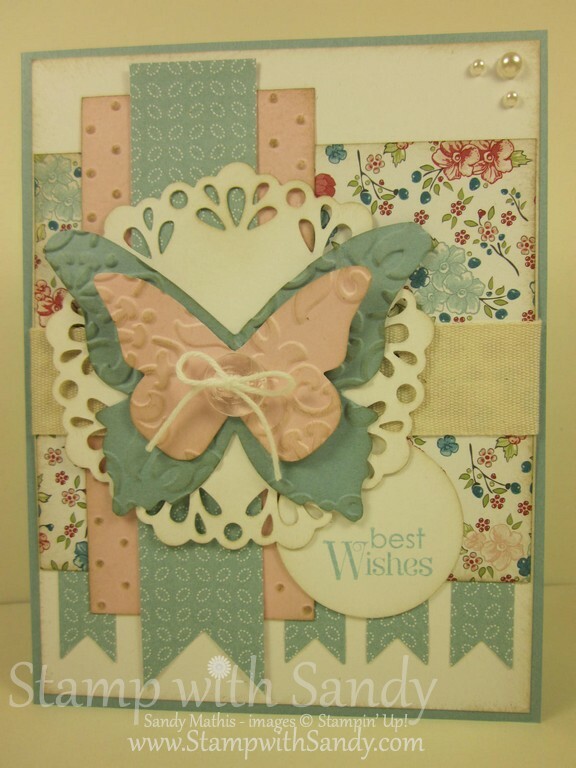 All those yummy layers are perfect for a vintage style card. The doily was cut with the new Delicate Doilies Sizzlit Die. The butterflies were cut with the Beautiful Butterflies Die, then embossed with the Vintage Wallpaper Embossing Folder. The Cotton Ribbon is a new product available in the Stampin' Up Holiday Catalog, about to be released on August 1. 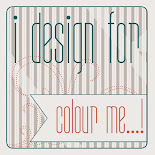 Please leave a comment, thanks so much! Such pretty layers Sandy, love that doily! Your floral background paper and the little banners peeking out are a delight. Thanks for playing along with us at Dynamic Duos! Wow, love all of the layers. 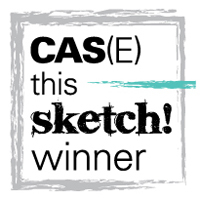 Great take on the sketch! Thanks for playing with us at Dynamic Duos! 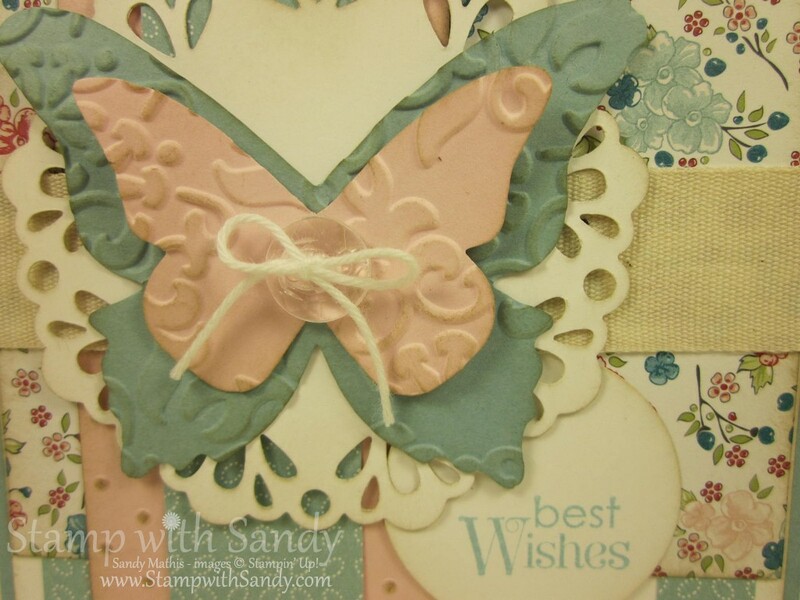 Love your style Sandi, beautiful card. Thanks for joining us at Dynamic Duos this week. Beautiful butterflies! Love the texture! 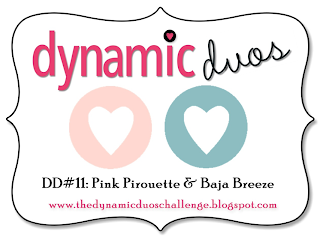 Thanks for joining us at Dynamic Duos this week! 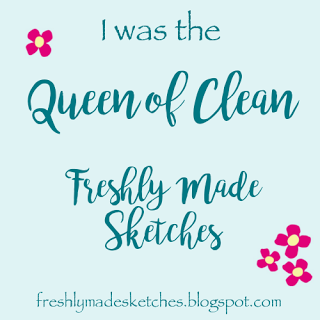 Love the sketch you used on your beautiful card! 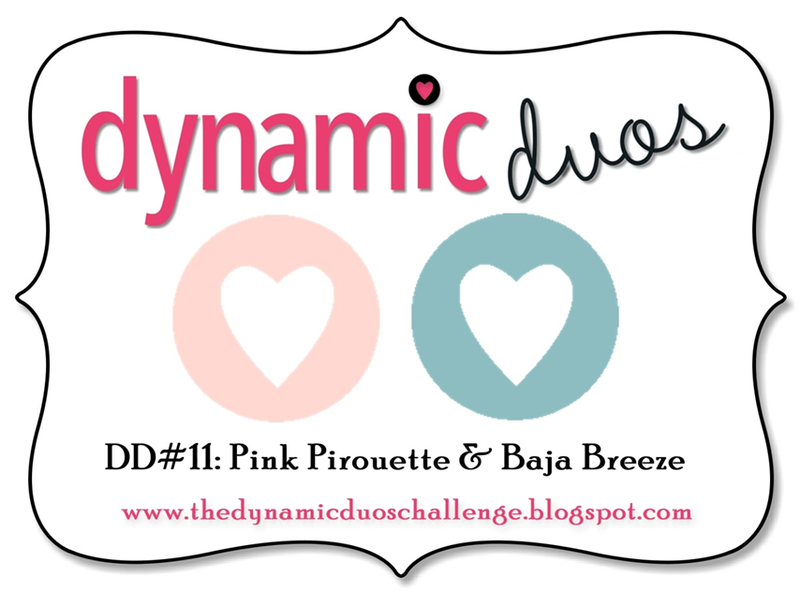 So happy you joined us this week at Dynamic Duos! 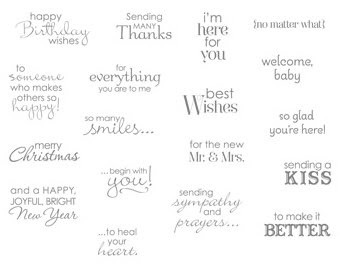 I don't know where to look first on your sweet card, it has so many pretty touches! Lovely choice of papers and cuts - so glad I came and saw and gathered some inspiration!